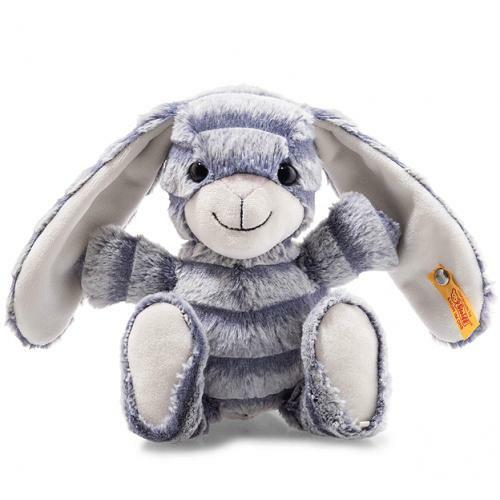 Hopps Rabbit is hand made in the finest grey and blue cuddly soft plush. Soft Cuddly Friends Hopps rabbit is 23 cm tall and made of soft and cuddly plush fabric. His mouth area, soles and inner ears are white. A pink nose sits above his embroidered brown mouth. The colour scheme is an upbeat grey-blue in broad stripes. His extra-long ears convey cheerfulness and good spirits.